Need a DJ or Dance Instructor? Need a DJ or Dance Instructor? How about a DJ who IS a Dance Instructor?! If you’re looking for a DJ who is also a dance instructor, and you’re in the Southern California area, look no further! Check out Mike Novak at www.DJNDI4U.com. Having a DJ at your event is great, but what if that DJ also taught dance lessons! Party dancing, line dancing, ballroom, salsa, and more! Young, old, or in between, doesn’t matter. He DJ’d several of my daughter’s birthday parties, and will be the DJ at my friend’s wedding in October. 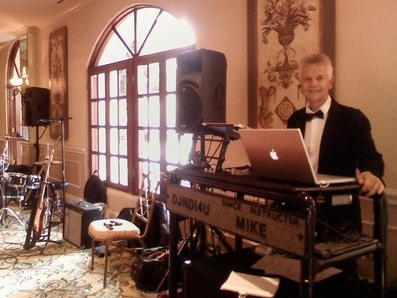 Mike does weddings, private parties and also does Line Dance Fitness classes in the Corona and Riverside areas, as well as, Ballroom and Latin. Private lessons available, so please check out his website!